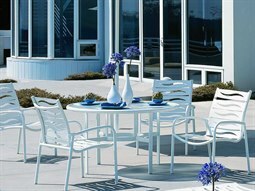 Whether poolside or beachside, choosing a complementary dining set will rest on a number of factors that depend on function, quality, and style. 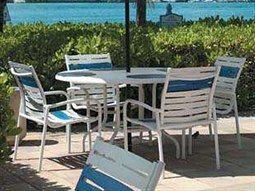 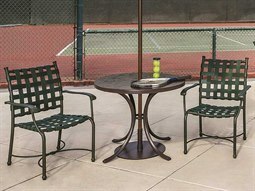 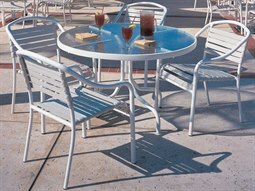 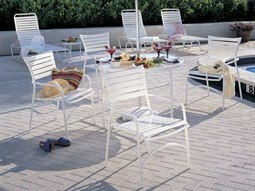 Outdoor furniture strap sets are an ideal choice for environments that are exposed to outdoor conditions that are wet or corrosive (such as sea-salt). Top-quality manufacturers craft outdoor strap furniture from 100% premium vinyl which holds up against wear, fading, and general degradation. 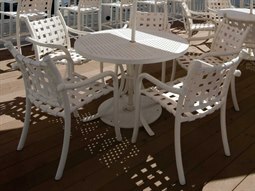 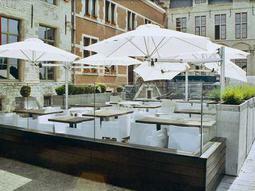 One of the oldest outdoor furniture types, outdoor furniture that feature strap construction is a classic choice for restaurant and hospitality settings. 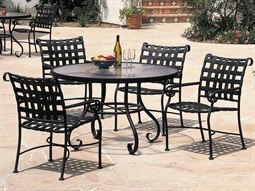 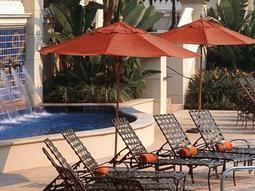 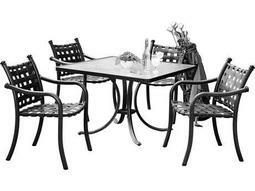 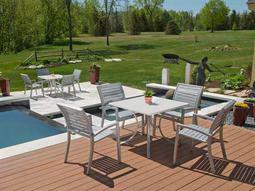 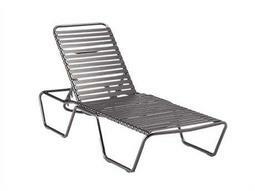 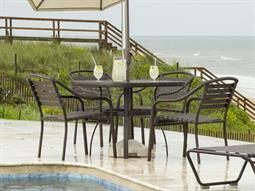 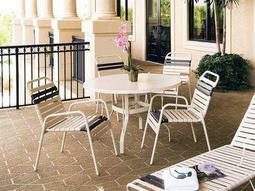 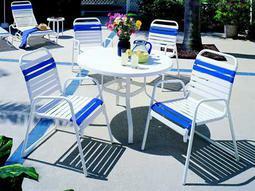 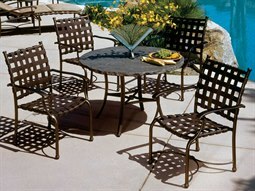 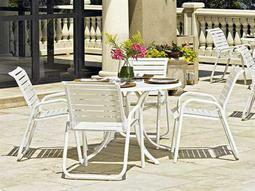 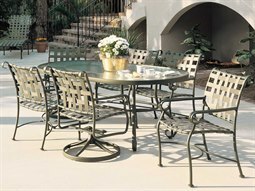 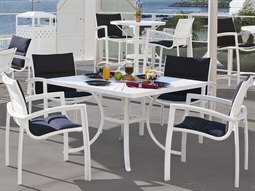 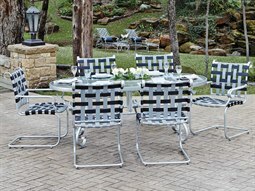 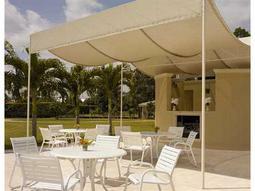 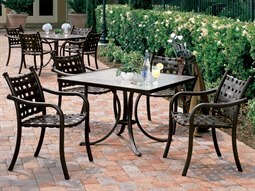 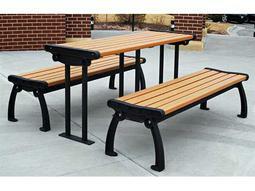 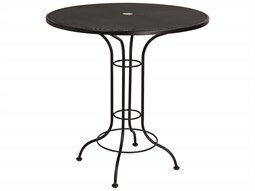 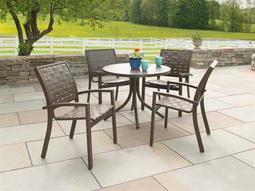 This type of outdoor furniture requires minimal maintenance and can weather the elements all-year round. 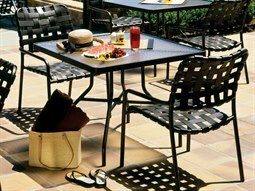 Dining sets available on Commercial Outdoor typically feature a high-quality outdoor dining table, accompanied by matching sling dining chairs to fashion a cohesive, stylish look for an outdoor dining area. 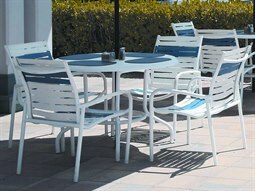 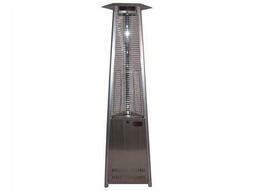 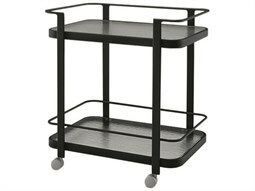 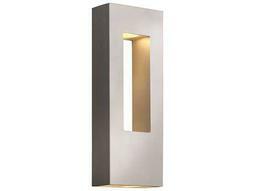 Choose from a range of different styles and configurations that will best suit your business aesthetic.